Sand Mason Worm / "Lanice conchilega"
Lanice conchilega - This common sedentary worm grows up to 30cms in length. 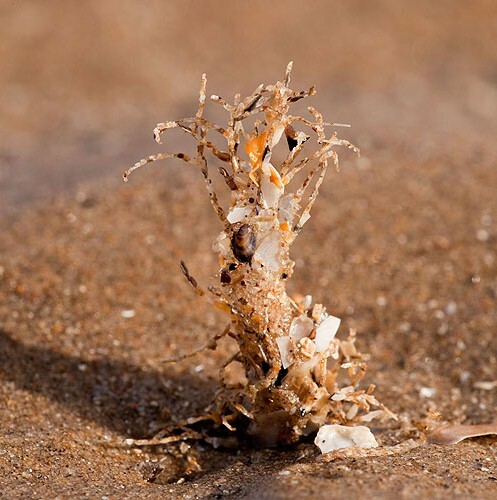 However all that is normally seen is a distinctly flattened and ornately "frayed" end made of closely fitting shell fragments and sand grains which protrudes above the sand by about 5cms. It is extremely common on sandy shores all round the UK, both above and below low tide mark. It is an important food source for many wading birds.